Two individual tone generators and a programmable (TX) period timer. A tone decoder with programmable NOTONE Timer. 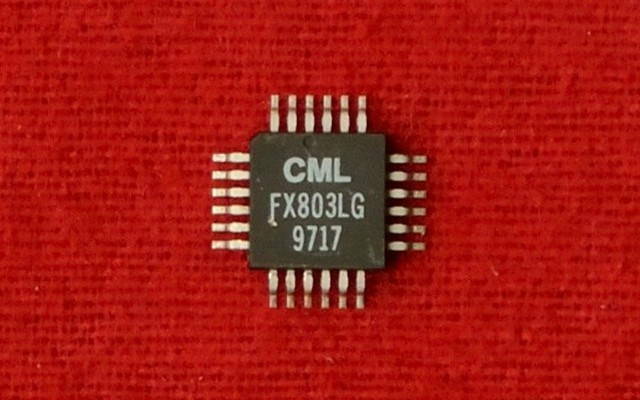 Under the control of the µController, via “C-BUS”, the FX803 will encode and transmit a single or pair of audio tones, in the frequency range 208Hz to 3 kHz, simultaneously, and detect, decode and indicate the frequency of non-predicted input tones in the frequency range 313Hz to 6 kHz. Both tone generators can be individually placed into a power economical “Powersave” mode. 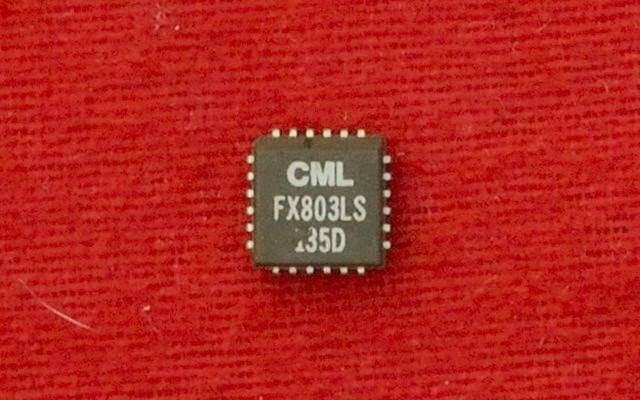 A general purpose logic input, interfacing directly with the Status Register, is provided. 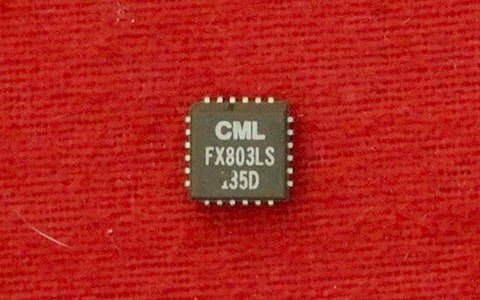 This could be used as an auxiliary method of routeing digital information to the µController via the “C-BUS.” The output frequencies are produced from data loaded into the device, with a programmable, general purpose, on-chip timer available to indicate the tone transmit periods. A Dual Tone Multi-Frequency (DTMF) output is obtained by combining the two independent output frequencies in the integral summing amplifier. This Summing Amplifier output is also available for level adjustment. Tones produced by the FX803 can also be used in the DBS 800 system as modulation calibration inputs and for “CUE” audio indications for the operator. Received tones are measured, and their frequency indicated to the µController in the form of a received data word. A poor-quality or incoherent tone will, after a programmed period, indicate NOTONE. 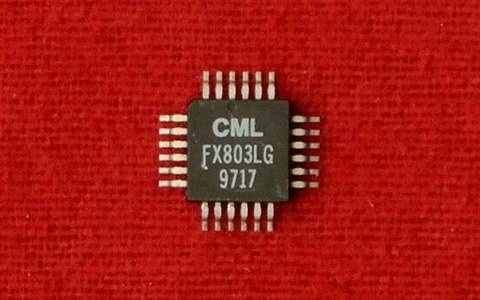 The FX803 is a low-power, 5-volt CMOS integrated circuit and is available in 24-pin DIL cerdip and 24-pin/lead plastic SMD packages.